When it comes to eating, I want my child will be able to inform his own healthy balance. Sure, junk food is bad but treats are surely fine if one understands not to overdo it, to balance excess with exercise and to make sure that you eat the nutritious food as well. I want my children to understand the connections that can help mitigate a healthy lifestyle. Knowing that this was my goal, I devised a long term plan using cereal and candy dollars that started two years ago. Today, we reached a huge success milestone! 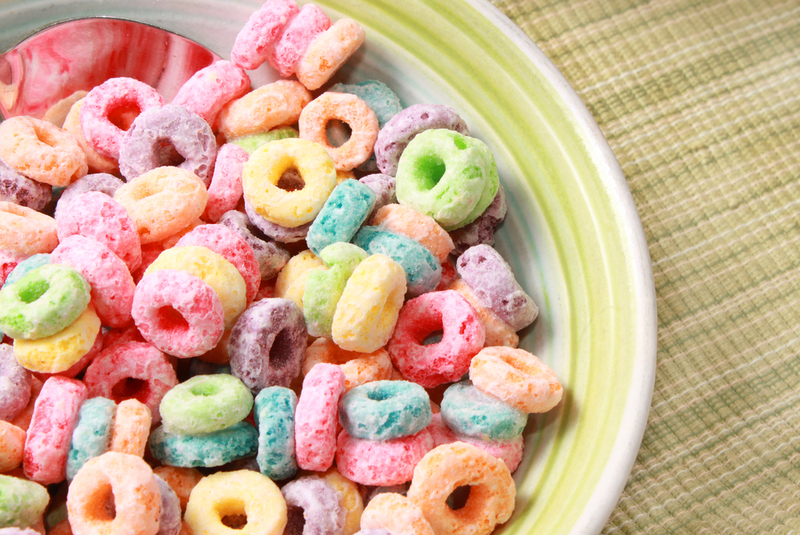 My children used to pick out the cocoa puffs or the sugar frosted mini-wheats. So would I, they're delicious. As children, they have no other motivation to do any differently than the pleasure that sugar gives to their brain. My plan was to educate them over time, and slowly wait for them to make the decisions on their own. I wanted their motivation to be awareness and caring about their own health. I wanted them to trust my advice because they trusted me and knew that I loved them and wanted what is best for them. At first I would make the choice between cocoa puffs and cheerios drizzled in chocolate. I would explain that the cheerios have more nutrition in them and less sugar than the cocoa puffs, even with the chocolate syrup. Any time my child would choose the cheerios, at the review he would earn a bonus candy dollar with praise of choosing a less tasty but better choice. Whenever he would spend the candy dollars, I would repeat the message that candy should be budgeted, but it's fine to have dessert or a treat after a nutritious meal. Once he started to regularly choose the cheerios, I switched up the cereal to a highly nutritious granola and raisin brand cereal and made that the one that would earn him the bonus dollars. I referred to it as the "good" cereal or "better choice". He's been choosing this cereal for a month now and choosing to keep the raisins in. This morning, he told me he didn't want the chocolate syrup. As long as I've been patiently pushing this program, that's the words that I wanted to hear. I wanted him to want to make the decision for himself, not because I had asked him to. I haven't even been rewarding bonus dollars anymore for the better cereal. He's been telling me that he wants to eat better, he wants to feel good. 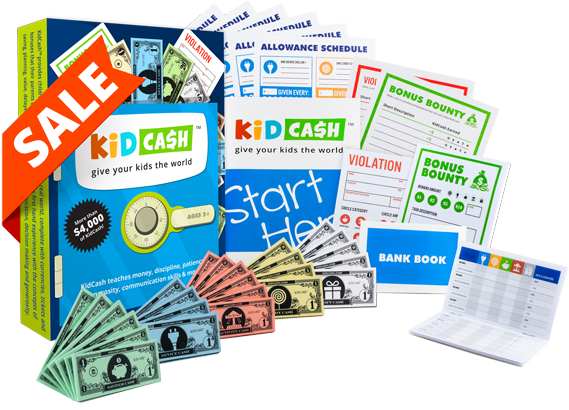 I think that the main point of KidCash is to get their attention and motivate them to practice your lessons. Once you have their attention, you can repeat your positive messages until they understand and want to make decisions that better themselves. We hope this helps you in your endeavors. Happy Parenting!